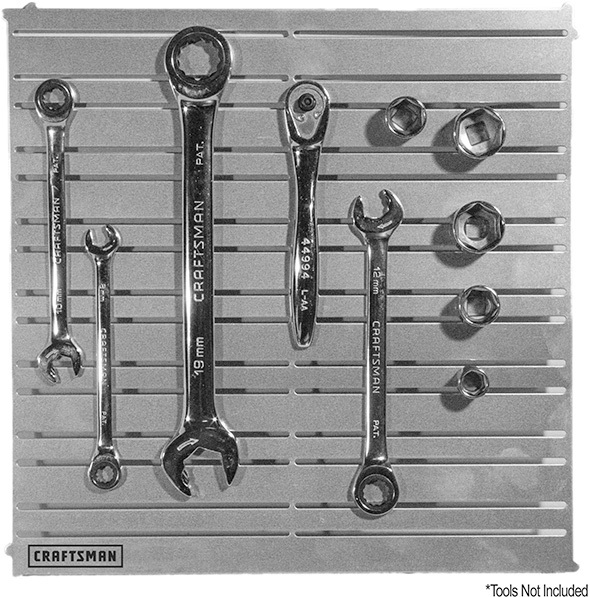 We’ve seen magnetic drill bit holders of all kinds – ones that stick to machinery, some that attach to tools, and even ones that you wear on your wrist. 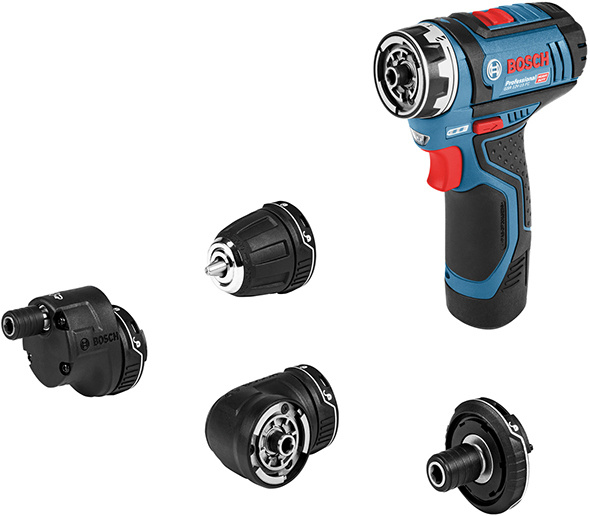 Last week we received an email about the Drill Sergeant, a interesting new drill-mounted bit holder. After first hearing about the Drill Sergeant, we had a quick chat with its designer, who says that the final product resulted from many revisions until it was just right. Their goal was to make a useful bit holder that doesn’t get in the way, and it looks like they succeeded. 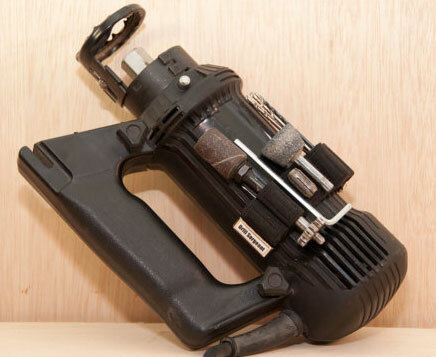 There are three models of Drill Sergeant available, the original, which has 2 barrel magnets and a wide catch-all magnetic strip, a smaller micro version, and the Pro, which has 4 barrel magnets and a shorter catch-all space. 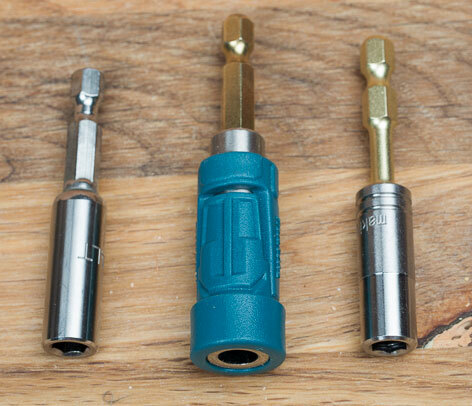 The barrels feature strong rare earth magnets at their centers and can hold 1/4″ hex bits (or smaller drill bits) from both sides, meaning that the original can hold 4 bits and the Pro 8. 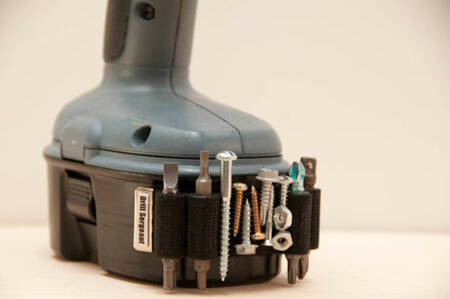 To install the Drill Sergeant, first attach the sticky-backed loop-sided Velcro to your drill or driver. Then just stick on the hook-sided Velcro, which is sewn to a nylon elastic top layer, presumably with the magnetic elements locked in between. We like the idea of the Velcro-attachment method, since it potentially allows for the same Drill Sergeant to be used with different drills and drivers. 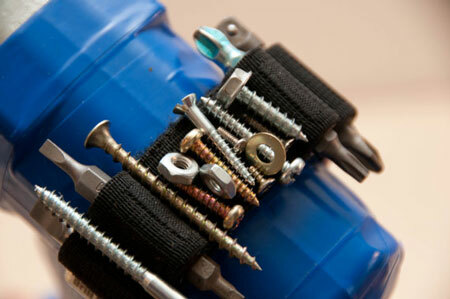 It’s also good to know that the holder is removable should it interfere in any way during a project. To be perfectly honest, I’m not usually fond of these types of accessories. But, the Drill Sergeant definitely looks interesting and well designed, and I can think of a few recent times it would have come in handy. The Drill Sergeant is made in the USA and can be purchased via Etsy or Amazon. The Original model is $14 and the Pro model $16. This is just what I need but can’t seem to get one anywhere does anyone know where I can buy it please. Has anybody found where to get these or how to contact the folks who made them? I have looked all over and cannot find them anywhere. Sad that those who have great ideas cannot sell good stuff anymore. Did you ever find out who made these? or did you find a contact? This product applies to me, I’m a commercial furniture installer. I have a bag of bits and deal with thousands of screws. I definitely need some kind of bit holder on my drill, as I can easily change bits 50 times a day. My only concern is the magnets affecting the motor or battery of the drill. Did anyone ever manage to buy one of these? Or something similar? OK, the magnets will not affect the motor or battery at all.